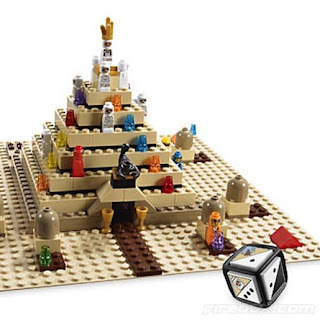 Lego Games - Ramses Pyramid And Minotaurus ! This is an Egyptian themed game especially designed for making fun. 2-4 players fight to defeat the Mummy King and his bandage-swathed army. In this game you can find a labyrinth that lays a secret temple protected by the mythical Minotaur. 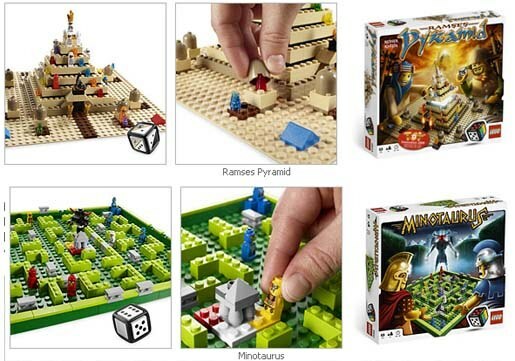 Therefore, you have to be the first to lead your heroes to the temple and you have to avoid the Minotaur and strategically placing walls to block your opponents.